Fanny attends a French immersion school and can speak better French than her mother. We first meet good friends Lulu and Lucien, who are like Fanny’s grandparents and live in a big old house called the Domaine in the middle of the vineyards near Marseille. 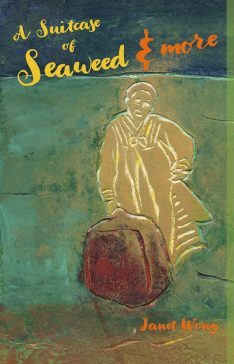 The Peyrauds have a big family, and during the course of the free-flowing narrative, Fanny describes specific encounters with many relatives — a son who makes wine, a daughter who owns a café, another son who goes snorkeling for various sea creatures (Fanny gets her first taste of octopus and sea urchins). Lulu and Lucien’s granddaughter Manon is just Fanny’s age, and the two are best friends. From the moment Fanny and her parents arrive on the scene, they are welcomed with great warmth, lots of food, drink, and happy chatter, followed by an enchanting stretch of sunny, idyllic, leisurely days where simple pleasures are celebrated and fresh, lovingly prepared food is generously shared and savored. 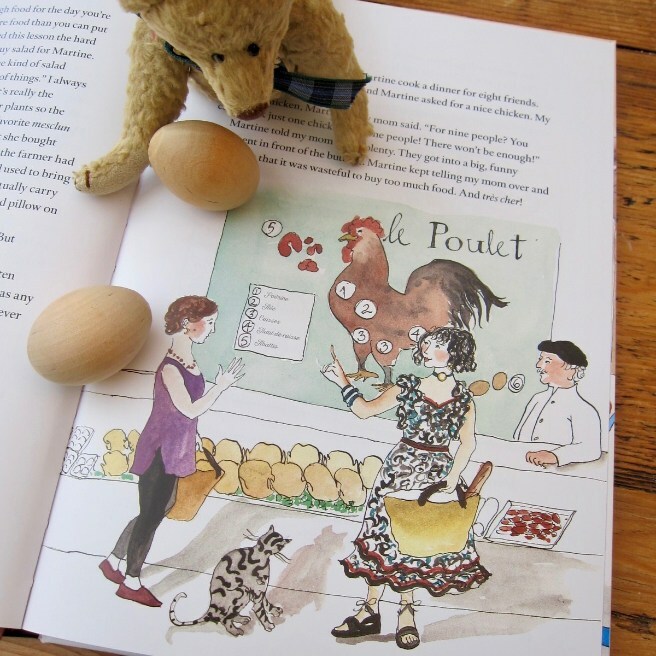 Fanny tells about the first time they visited the Domaine and all the Peyrauds and their friends pitched in to cook a giant pot of bouillabaisse outdoors. Since it was the end of grape harvest, all the field workers were also coming to dinner. Everyone had a specific job: Lulu cut up the fish, Jean-Marie added the wine, Fanny and Manon picked herbs from the garden and helped Paule peel garlic. To top off a perfect meal? Singing and dancing to accordion music under the stars. Another day, the girls are allowed to bicycle all by themselves around the island of Bendor, only accessible by boat and devoid of automobiles. 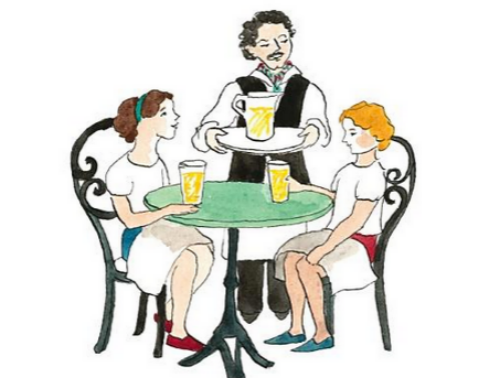 When Fanny gets a flat tire, a café owner’s son is only too happy to fix it while the girls are treated to refreshing glasses of citrons pressés — all because their names, “Manon et Fanny” are the same as two characters in Marcel Pagnol films. Each of the vignettes illustrates various aspects of Alice Waters’s farm-to-table, slow cooking philosophy. Wherever she goes, Fanny actively participates, expressing a genuine appreciation for those who cultivate, harvest, and prepare the food. Don’t worry, Fanny, everything we need to make a delicious salade niçoise is right outside these doors. 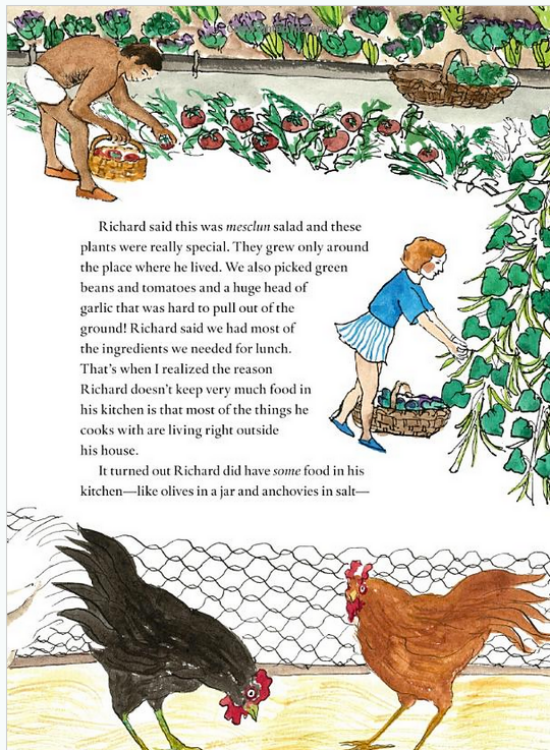 They gather eggs at Richard’s chicken coop, pick a variety of greens from Richard’s kitchen garden and they’re pretty much all set, since Richard does have olives and anchovies in his pantry. 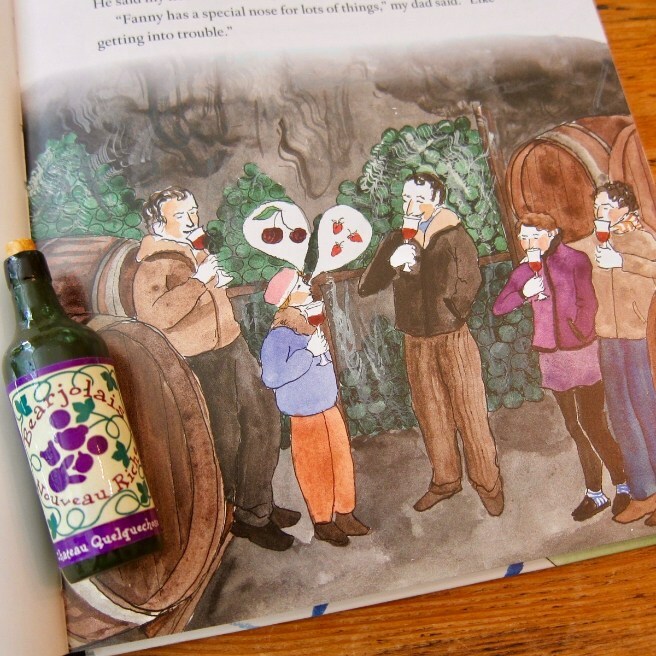 Fanny tastes wine straight from a barrel in Gérard’s cellar, and shops for goat cheese, wild strawberries and carrots at Nice market with Nathalie. 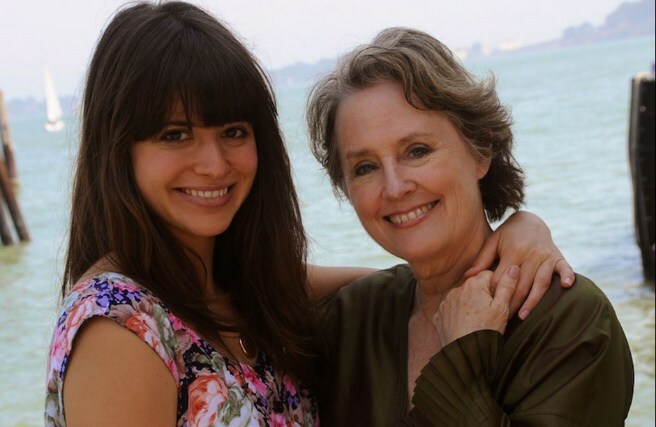 With her mom’s artist friend Martine, they find some treasures at a flea market for her mom’s birthday dinner. 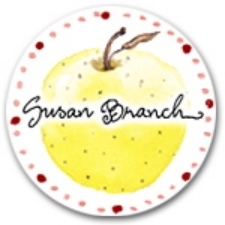 They poke through “old paintings and furniture and silverware and glasses,” eventually deciding on a painted wooden candlestick, an embroidered tablecloth and napkins, and dessert plates with pictures of fruit on them. They set a pretty table for Fanny’s mother, who cries from happiness. 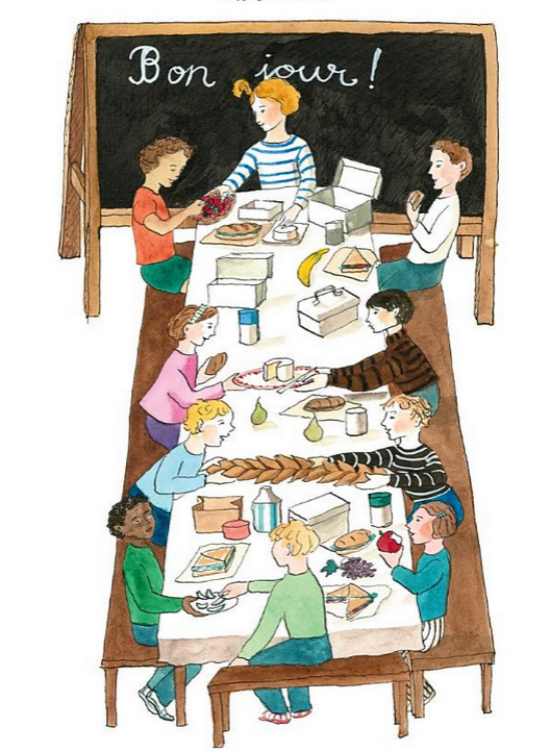 Martine imparts an important lesson about “buying only enough food for the day you’re going to use it.” She shows them how to feed nine people with one chicken! In Corsica they make bread and pizza in an outdoor stone oven. They dine at Château d’Yquem in Bordeaux, one of the oldest winemakers in France, who made wine for Louis IV, Napoleon, Thomas Jefferson and Alexandre Dumas. 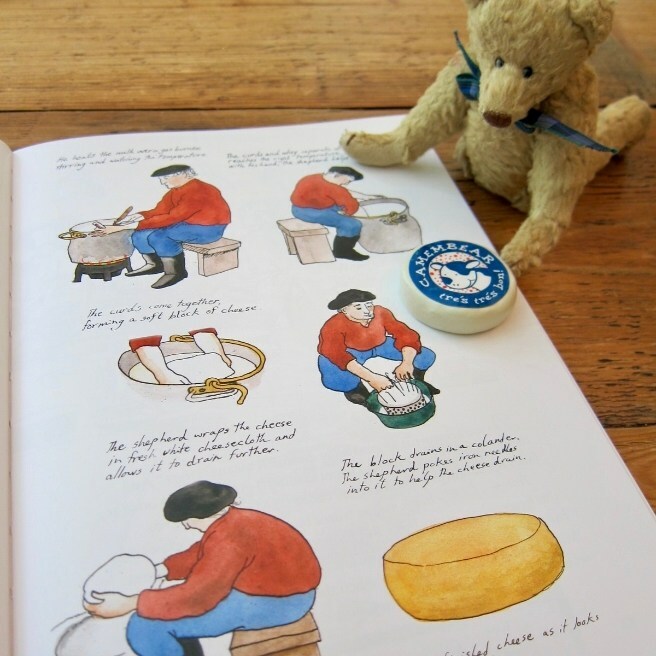 There’s also oyster gathering in the Basin d’Arcachon, milking sheep and making cheese in the Pyrenees, eating frogs’ legs in the Loire Valley. In Paris, what about some of Poilâne’s freshly baked bread, or a Bastille Day celebration complete with couscous, baked chicken stuffed with forty cloves of garlic, champagne and macarons? 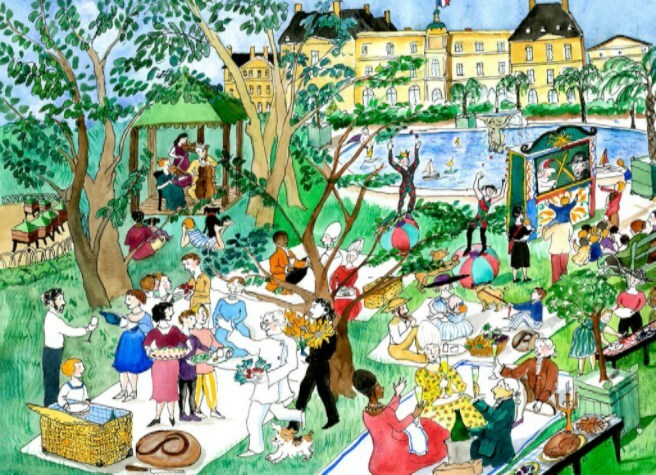 Fanny ends by describing “the biggest picnic ever,” held throughout France on the same day. They were in Paris for this event, where they saw “opera singers and jugglers and puppeteers and magicians.” All around them, people were eating lots of different things. There were people next to us from Brittany who were eating oysters. The family across from us was from Normandy, and they were eating apples and duck rillettes. On the other side of them were some college students eating falafel and drinking beer. Near them were some farmers eating ham sandwiches and eggs dipped in mayonnaise, and they were drinking wine out of bottles that had no labels on them. 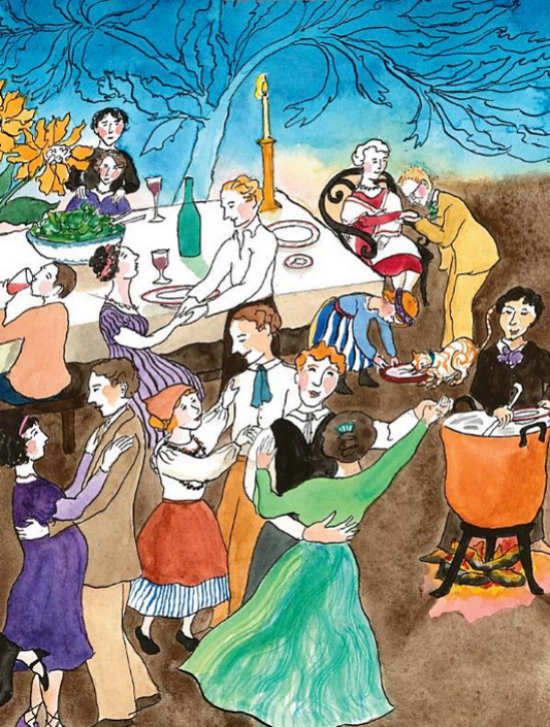 Throughout, there is the wonderful feeling of largesse — not only with regard to the beautiful, delectable foods that are served, but also because of the enthusiasm and genuine joie de vivre so apparent among all the people we meet. 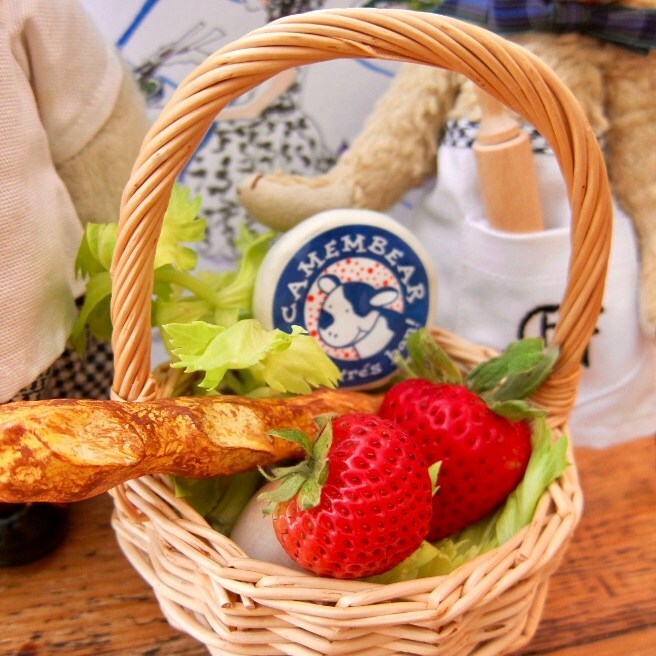 Eating well and being conscious of where one’s food comes from, with an eye always for what is fresh, seasonal, locally sourced, and simply prepared, is a particular way of life, as Fanny so charmingly describes. I love the emphasis on communal effort — food tastes better when prepared together — it is both a way of showing love and feeling loved. Whether one goes out on a boat to get fresh oysters, hikes for hours up a hillside to milk sheep, or harvests one’s own grapes, what logically follows is a natural stewardship of the land, a caring and respect that only comes from consciously living in concert with the earth, echoing Alice Waters’s advocacy of sustainability, organics, building communities, and encouraging food literacy from an early age. 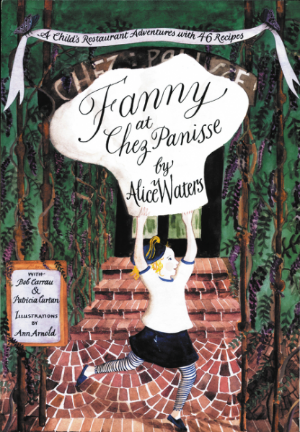 Ann Arnold, who also illustrated Fanny at Chez Panisse (and another title I love, The Adventurous Chef: Alexis Soyer), fills the pages with her festive, airy, whimsically detailed ink and watercolor pictures. She had me at her lovely endpapers showing some of the dishes included in the book. It’s easy to become happily lost in her scenes of the sun-drenched countryside and tranquil seashore, lush vineyards, the big market in Nice, or the basement ovens at Poilâne bakery. And there’s certainly no shortage of pictures showing friends and family working together in the kitchen or dining at tables laden with delectables. 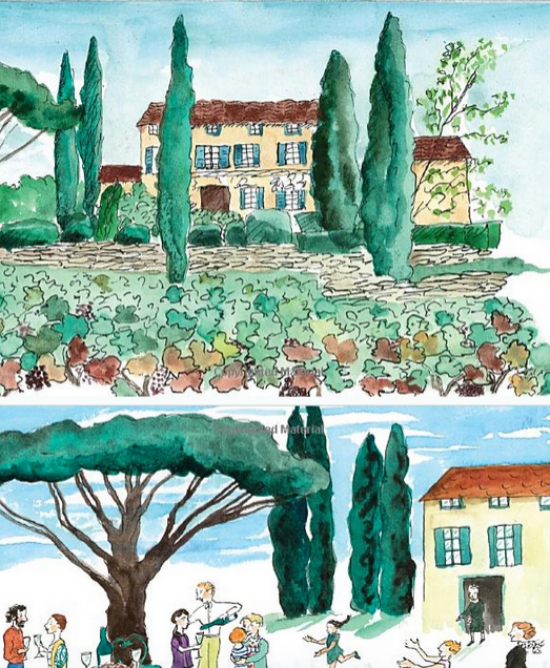 The conviviality and joy are palpable, and you’ll soon wish you could be whisked away to Provence to spend an hour or two resting on your picnic blanket with a basket full of good French cheese, bread, fruit, and wine. You know how it is with the French — food is an art, and with the incorporation of French words and phrases in the text, you’ll be tempted to kiss your fingertips whenever a new dish is mentioned. 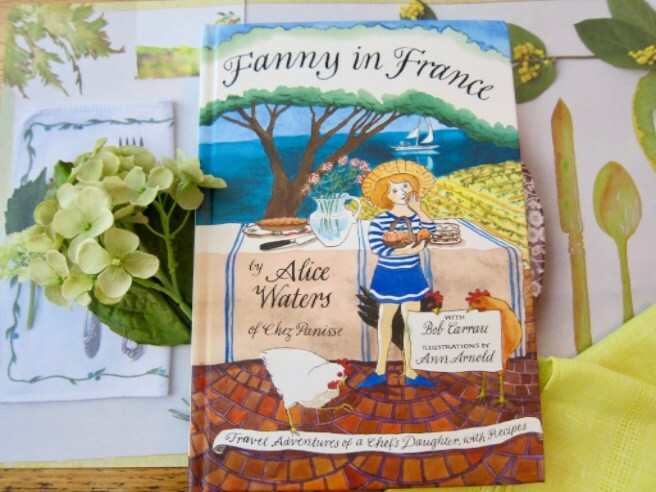 The second half of the book is devoted to about 40 recipes for many of the dishes mentioned in Fanny’s stories. They range in difficulty from easy (Croque-Monsieur, Vinaigrette) to doable (Orange Honey Mousse, Oeuf Mayonnaise), to the challenging 5-page recipe for Bouillabaisse. The categories are: Le Pain, Hors d’Oeuvres, Les Potages, Petits Repas, Plats Principaux, Les Salades, Les Desserts, and Les Confitures. There’s an interesting recipe for “One Dough, Many Kinds of Bread,” that doesn’t require any kneading (you let the dough rise for 12-18 hours) and French classics like Chocolate Soufflé, Salade Niçoise, and Tarte au Citron. 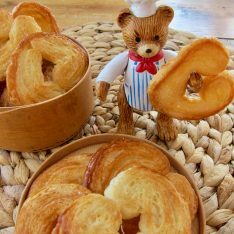 Although there’s a sprinkling of obviously kid friendly recipes (french fries, pizza with tomato sauce, fruit kebabs) most are aimed at expanding culinary horizons, offering an authentic taste of French cuisine. 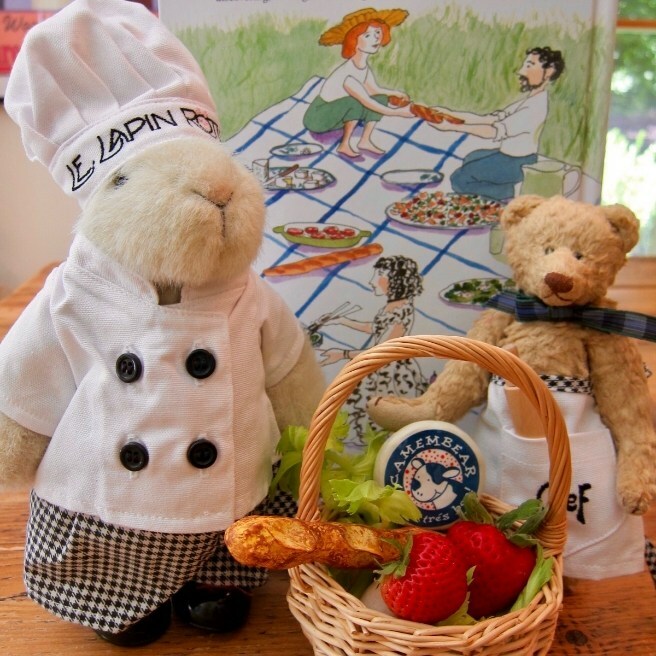 Much like Claudine Pépin’s children’s cookbook, these are recipes for families to make together, encouraging kids to eat what adults eat, with options that don’t involve heating up something in the microwave or baking a box of chicken nuggets. 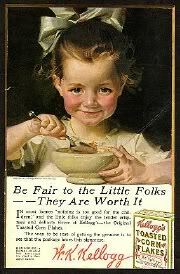 It’s a good philosophy to adopt: there’s no such thing as ‘kids’ food,’ only good food. 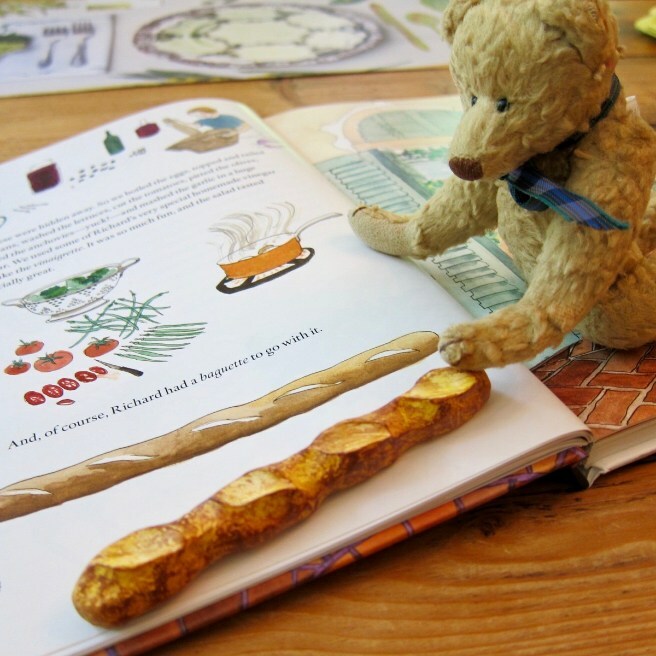 Fanny in France is a great way for young readers to do a bit of armchair traveling while learning about different foods they might not ordinarily encounter. 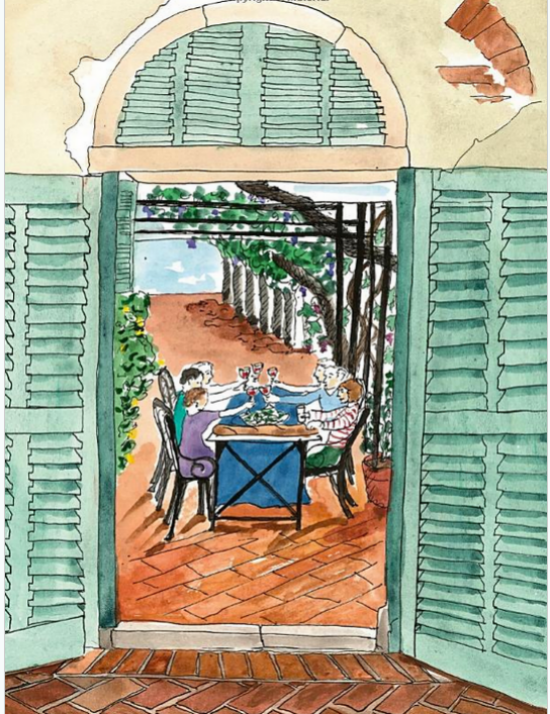 Recommended for readers ages 10 and up, the book will especially appeal to budding chefs, those studying French cuisine and culture, and Alice Waters fans of all ages. The book was co-written with family friend Bob Carrau, who’s known (the now adult) Fanny all her life. It took a couple of decades, but I’m glad Fanny is back! 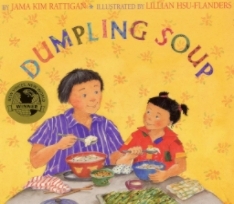 Everyone in the Alphabet Soup kitchen enjoyed Fanny’s stories and we wanted to try one of the recipes, but which one? 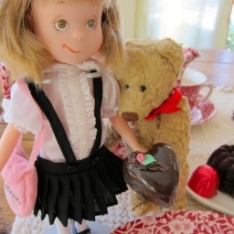 Since Cornelius’s friend Georgette had flown in all the way from Paris, it seemed only fair to let her choose. After dinner, the Troisgros brought the most amazing dessert cart I’d ever seen to our table. There were so many things on it, I couldn’t believe they all fit. 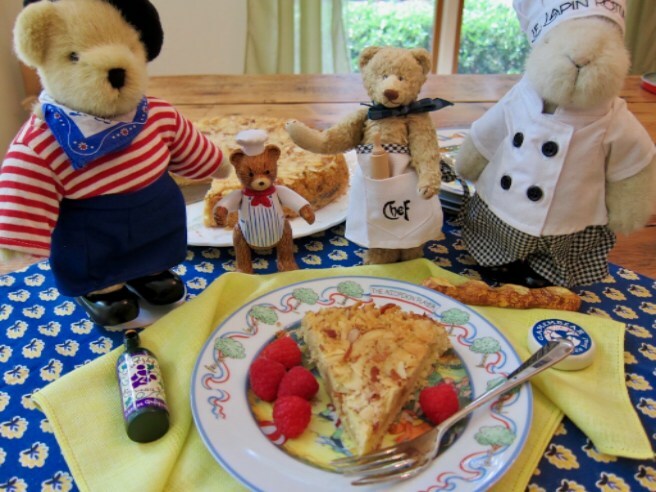 There were apple tarts, tuiles à l’orange, white peaches in jelly, figs in sabayon, an almond cake, and hot soufflés! It was so hard to decide. 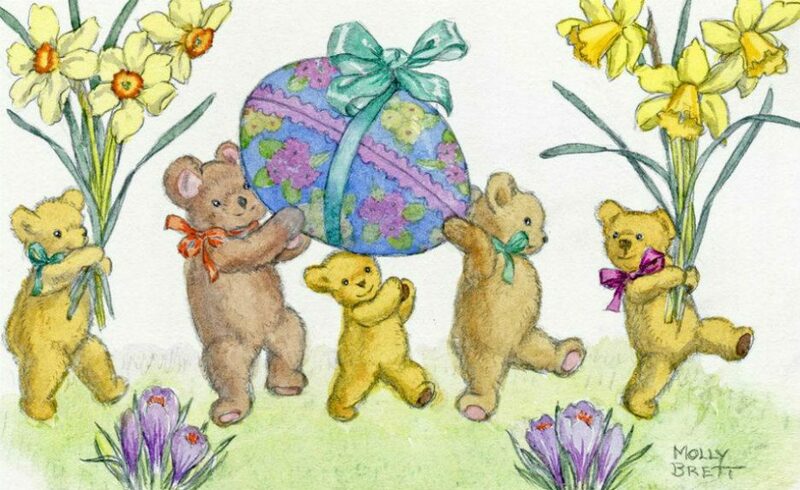 “Let’s make one of each!” cried Cornelius. 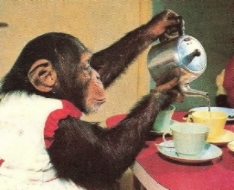 “It’s for Georgette to decide,” I reminded him. 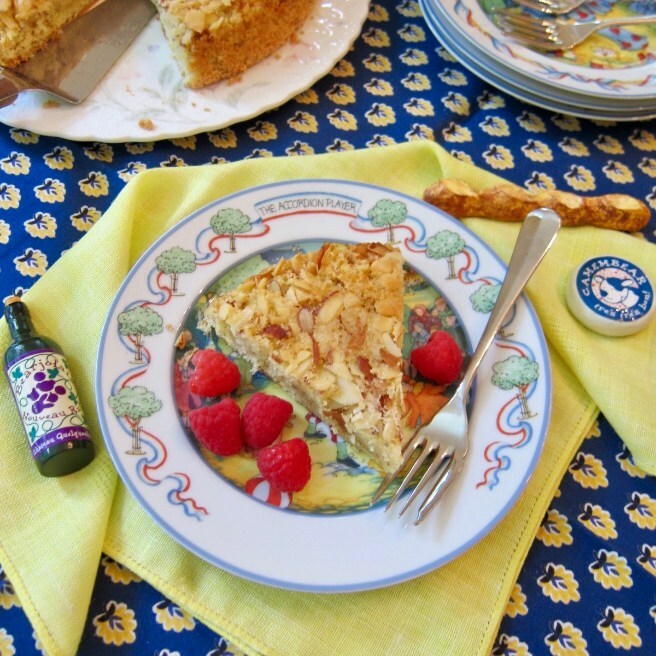 Fanny describes the Almond Brown Butter Cake as something she’s had “for dinner and lunch and sometimes even for breakfast.” So it must be good! I like that she also mentions that it’s not super sweet. Chef Hoppy (a.k.a. 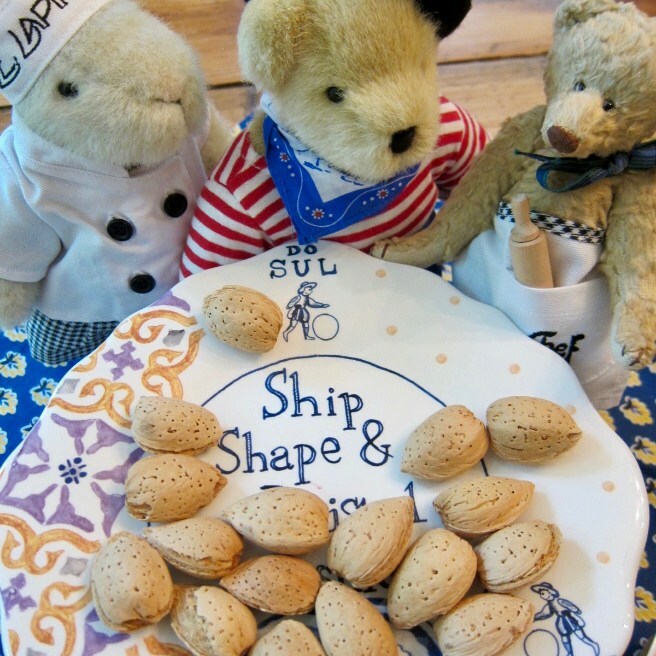 Le Lapin Rotund) immediately took charge, asking me to brown the butter on the stove and grind the almonds, Georgette to crack the eggs, and Cornelius to sprinkle the sliced almonds into the pan and add the vanilla and almond extract. The batter came together very quickly (we used a light touch to fold the ground almonds and flour into the butter and eggs mixture). Into the oven for 35 minutes and it smelled so good while baking! There was a bit of suspense since I worried that the bottom of the cake would stick to the pan despite my buttering it thoroughly — but after it was completely cooled and I reversed it onto my cake plate, it released beautifully, nut topping intact. Phew et Voilà! Do read the book soon and enjoy this recipe with it. Et maintenant, we will continue to dream about Marseille et Paris et Nice et Bordeaux . . . Bon Appétit! Preheat the oven to 350 degrees F. Spread the almonds on a sheet pan and toast for 6 minutes. Remove from the oven and cool. Melt the butter in a small saucepan. Brush some of the melted butter onto the bottom and sides of a 9-inch cake pan. Continue to cook the rest of the butter over medium-low heat for 10 to 20 minutes, until it becomes golden brown. Remove from the heat and stop the butter from cooking by adding the lemon juice. Set aside to cool. 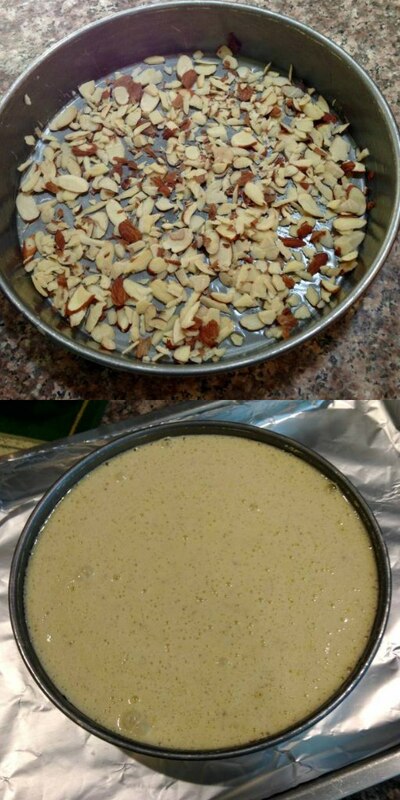 Spread 1/2 cup of the sliced almonds evenly on the bottom of the cake pan. 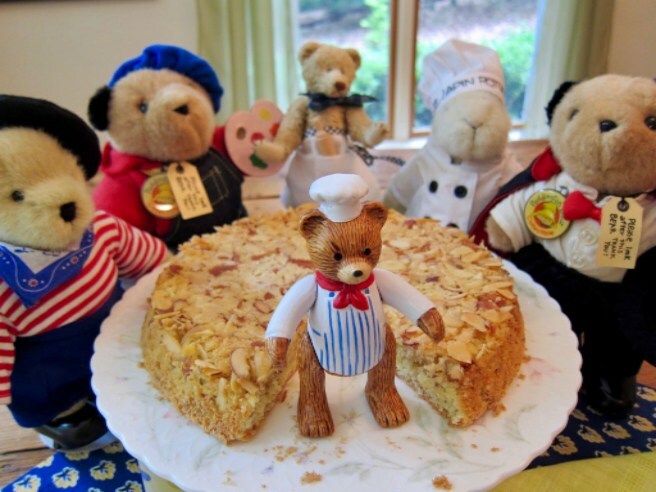 Dust the almonds in the cake pan with 2 tablespoons of sugar. Grind the remaining 1 cup of almonds in a food processor until the almond pieces are the size of little grains. In a medium bowl, mix the ground almonds with the flour and salt. Crack the eggs into a large mixing bowl an add the remaining 1 cup of sugar. Using a whisk or an electric mixer, beat the eggs fast for about 5 minutes, until they thicken, increase almost 3 times in volume, and turn a pale yellow. Gently sprinkle half the ground almond mixture over the beaten eggs. With a spatula, gently fold the almonds into the eggs. When the ground almond is halfway folded in, add the rest and continue to fold gently until everything is evenly mixed. Carefully fold in the brown butter and vanilla and almond extracts. 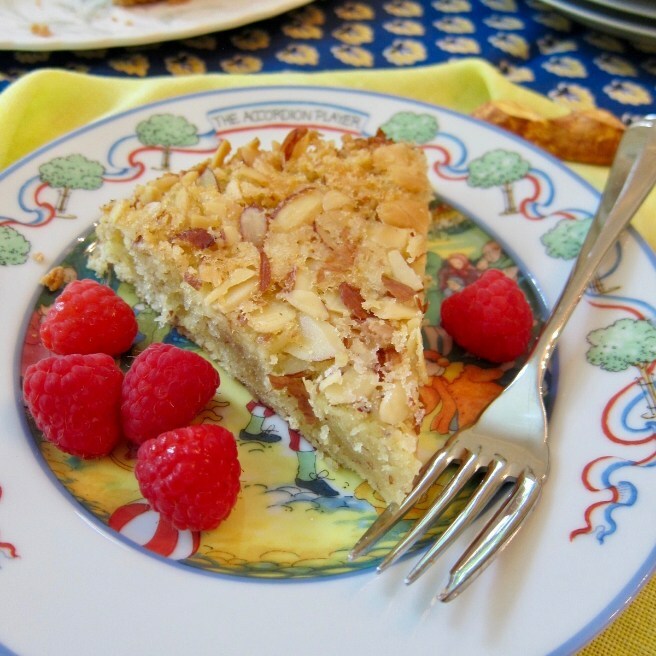 Pour the batter into the cake pan over the sliced almonds and bake on the center rack of the oven for 35 to 40 minutes. You’ll know the cake is done if you poke a wooden skewer or toothpick into the middle and it comes out clean. Remove the cake from the oven and let it cool on a rack. When completely cool, run a knife around the edges of the cake to separate it from the pan. Put a flat plate over the top of the cake pan and then flip them both over quickly, so that the cake pan is now on top of the plate. Remove the pan, banging on its bottom if the cake sticks at all. Serve as is or with a little crème Chantilly. 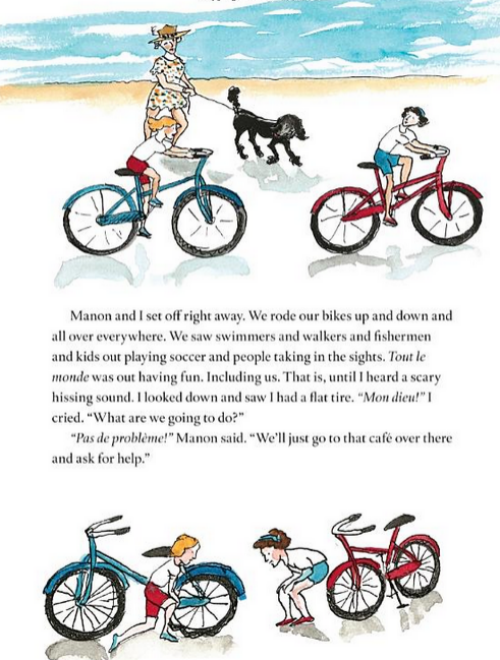 ~ from Fanny in France by Alice Waters with Bob Carrau, illustrated by Ann Arnold (Viking, 2016), as posted at Jama’s Alphabet Soup. 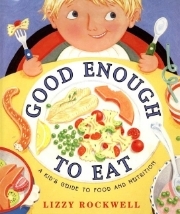 Travelogue/Cookbook for ages 10+, 184 pp. Oh, my goodness…..yes, I can imagine you picking up this book and beginning an obsession. What a gorgeous concept for a book. And, set in France! I must have more than a taste. Thank you for reviewing this book. I hadn’t heard of it before ….but, I’m pretty sure I need it. Now, I have a curious craving for almonds. What a wonderful post! 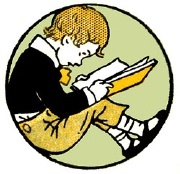 I love Ann Arnold illustration’s — I remember her from the Alexis Soyer book (which I learned about thanks to you). 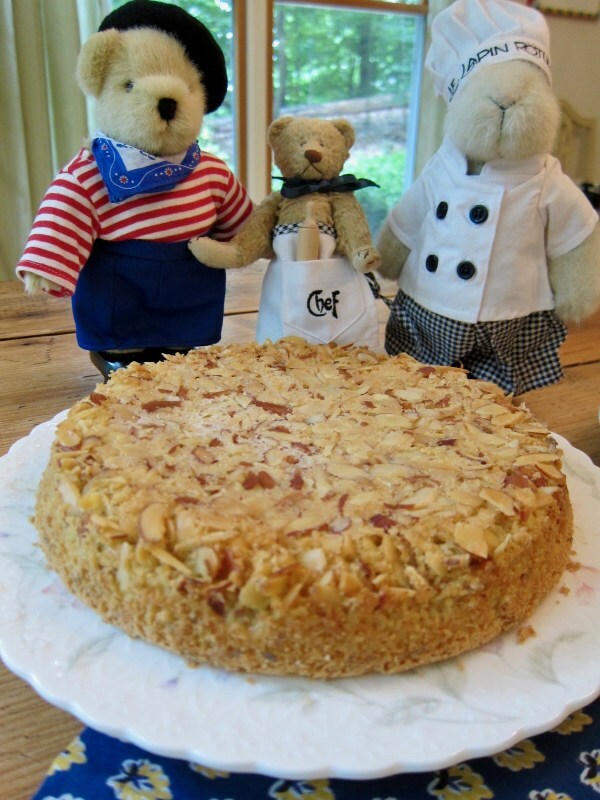 I have to go make this almond cake now. 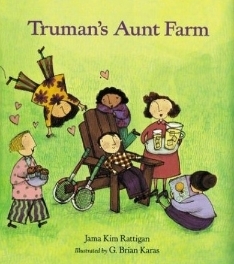 Ooh, what a pretty book, and the illustrations are divine. It has a much more old-fashioned look, I think, than most of what kids are reading these days, which makes it a perfect Adult + Kid gift – something relatable for all. I love the way many European traditions involve kids in the eating and preparing – I watch my Estonian goddaughter eat things I would hesitate to try – she’s just curious and tries everything and makes her own decisions, sometimes taking to frogs’ legs immediately, sometimes coming back to escargots or whatnot later and deciding she likes them. Meanwhile, because – at least in the past – our palettes are more catered to as children in the U.S., I think we didn’t learn as easily to eat a widely varied diet. 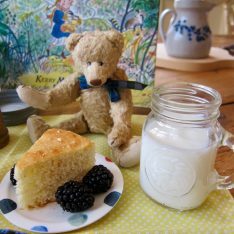 This will hopefully bring kids a new interest in food and where it comes from and how to make it – it looks like quite a treat. Good old Alice, long may she reign over the kitchen. yes yes yes! Also encouraging is that more kids are taking an interest in cooking; perhaps because of TV cooking shows, maybe from having foodie parents. 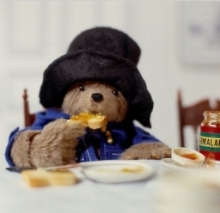 Still, it’s a good thing to learn to eat a wider variety of foods from childhood on. It’s unfortunate that school lunches in the U.S. don’t measure up to school lunches in other countries, further limiting their exposure to good food. How wonderful to have a “part two” to the original “Fanny book”! 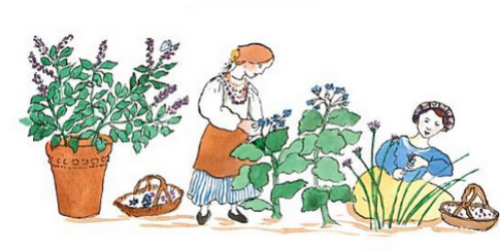 The idea that a child could live and play in a kitchen and gardens was a giggle back when I first read the book. I have been to France just once; I am still looking for a “croissant as good as Nice’s” for twenty+ years! Thanks so much for a wonderful article? What an place to go. I have always wanted to travel to France, so to read the information on this book makes me want to go even more. I am going to have to add this book to my list to read just because it sounded like such a good read. Oh yes!!! I know what you mean about a quickening heart. 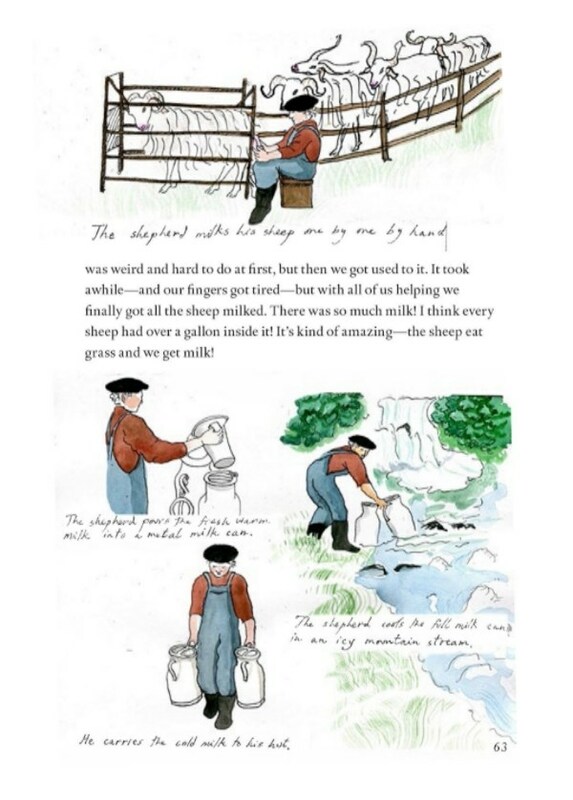 A great story and beautiful — very French — illustrations. And the cake? Simple, yet so good. I think I’m going to have to bake it. 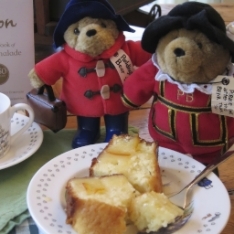 I think you’ll like the cake! I love those fantasies about life in some idealized version of France. Wait — it’s a real country? Where most of the people live in a city of 20 million and have no outdoor space to speak of, no gardens, and a very high-pressure life? Who knew? Thanks for the delightful review! I wish I had some appropriate recipeients to give it to. I’m all for a little escapism now and again, and I appreciate books that focus on the positive things any country has to offer, shared through the lens of those enamored of it. 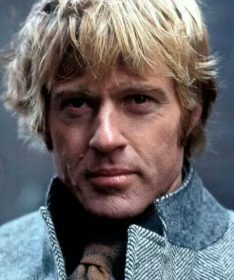 I feel that way about England — sure, there are negative aspects to living there, but the romanticism of the country, which I experienced first hand, will always color my views. I don’t know where to start… so much goodness here. 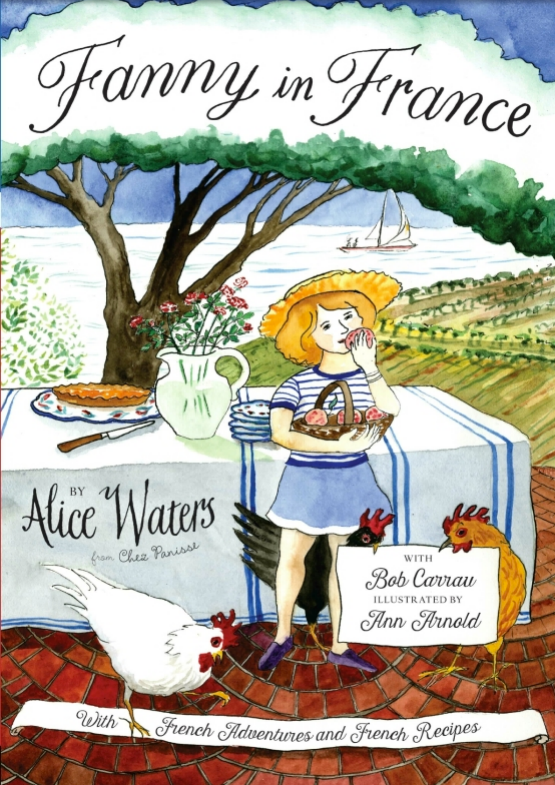 France – Alice Waters – Children’s Books – France – lovely recipes – great photos – France 🙂 I simply must find this book and share it with my granddaughter! Yes, Molly, you definitely must! Lovely review and I think I might be a bit in love with this book too. 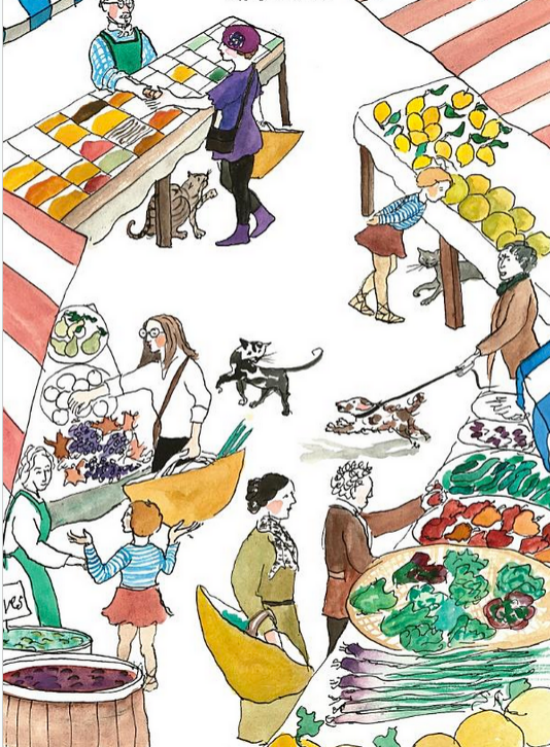 The illustrations are gorgeous and i love the messages it promotes about farm-to-table, seasonal eating, and not wasting food to name a few. The cake looks delicious too–it turned out so perfectly. Since you’re a foodie you will definitely enjoy this book. 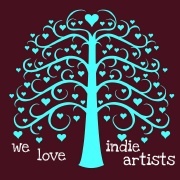 I’m also enthusiastic about books promoting those things you mentioned. 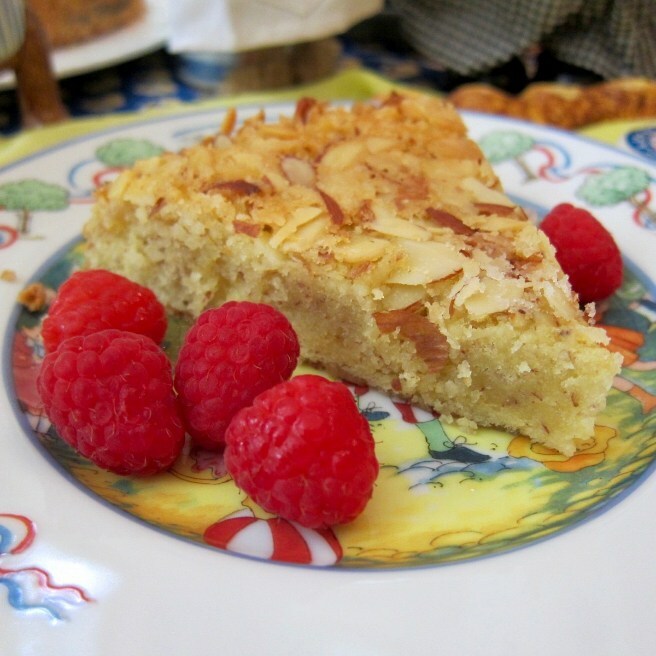 I thought I smelled almond cake by the time I finished reading this post! Looks delicious! I’m always nervous when it’s time to turn a cake out of the pan, too. 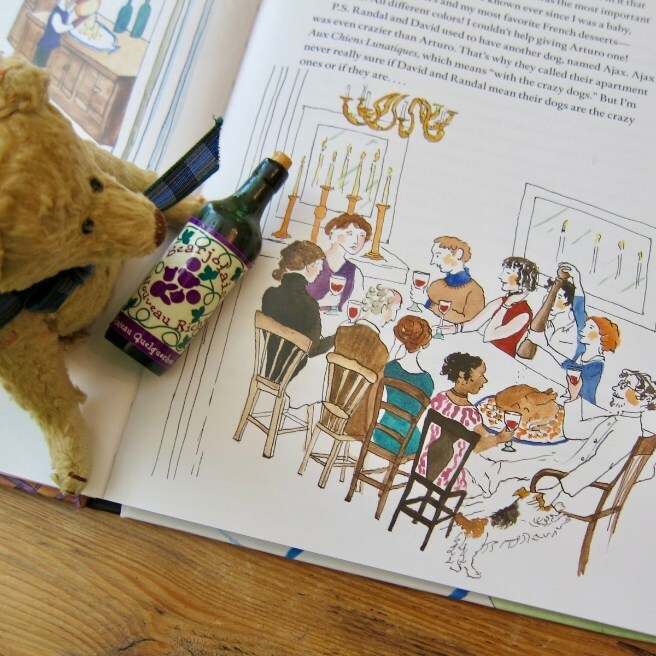 I love the look of the children’s book, but also of your photos with the bears! I’ve been away from Weekend Cooking for a long time, and I have missed it! I took a summer blog break and am only just getting back to joining the WC group. It feels nice to be back, and nice to see you posting again too! 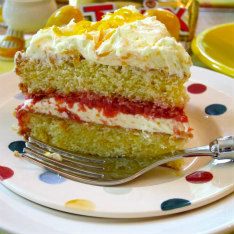 Can’t wait to try that cake and of course with a little creme Chantilly! !